Elrod’s Cost Plus Supermarkets is a great place to start or enhance a career. There are many opportunities available ranging from part time entry level positions, to full time and management positions. When you become an Elrod’s Team Member you become a part of our family. We are fortunate to have quite a few employees who have been a part of the Elrod’s team for 10, 20, and even up to 30 years. Elrod’s Cost Plus Supermarkets is filled with a diverse group of individuals that thrive in our family style environment where everyone matters. We are looking for hard-working, goal-achieving individuals who are inspired by challenges. Here at Elrod’s Cost Plus Supermarkets, customer service is paramount. If you are a self-motivated and creative person who enjoys working with people, this is the place for you. 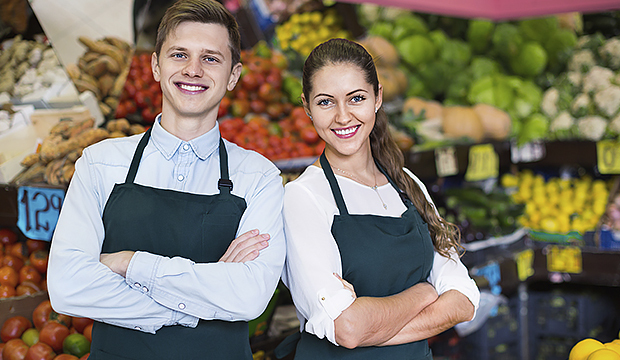 Whether you are just starting your career or an experienced professional, something exciting is in store for you here at Elrod’s Cost Plus Supermarkets. Please feel free to contact one of our stores today to hear how you can join our team.